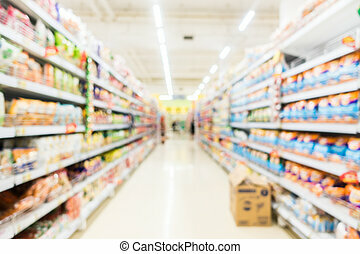 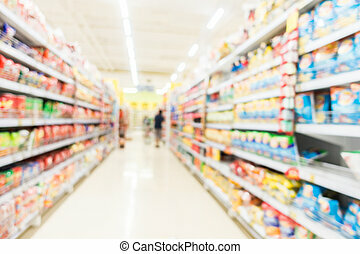 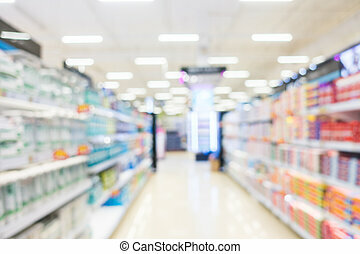 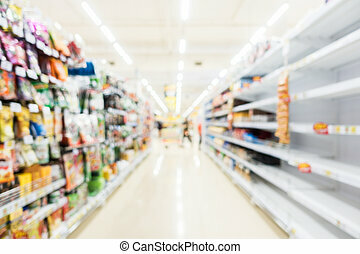 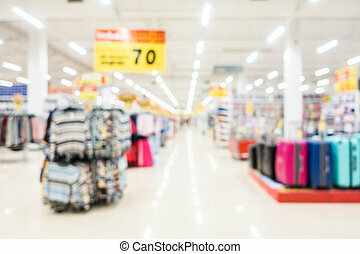 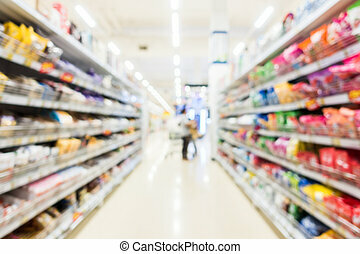 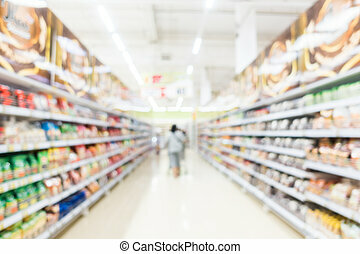 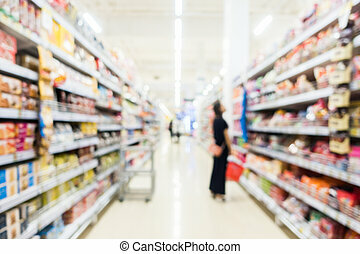 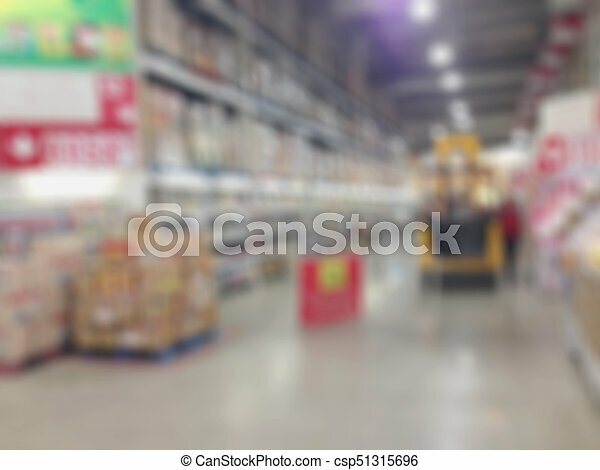 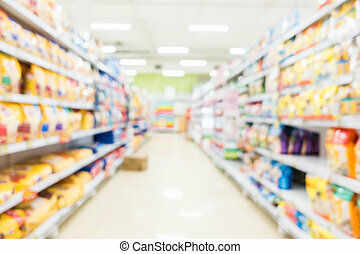 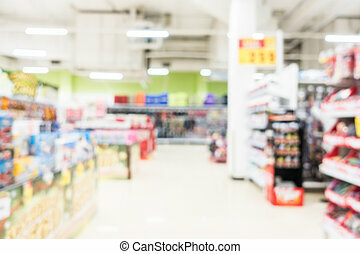 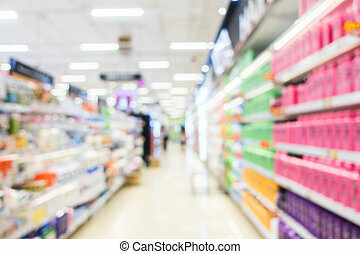 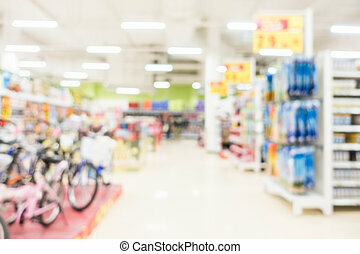 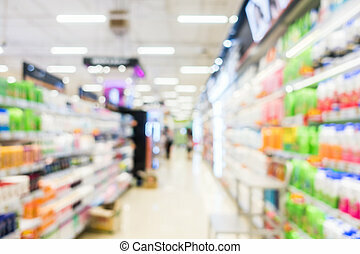 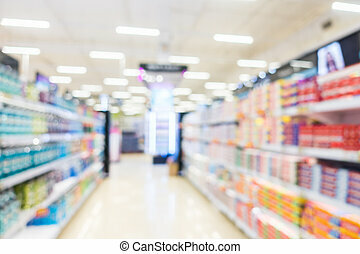 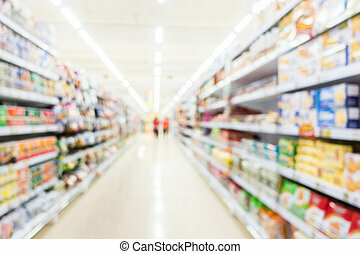 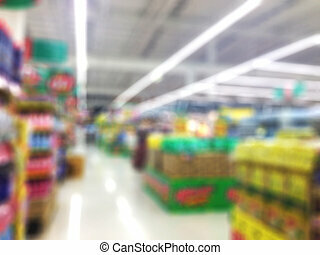 Abstract blurred supermarket aisle with shopping mall and retails store interior for background. 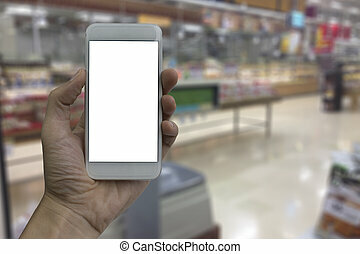 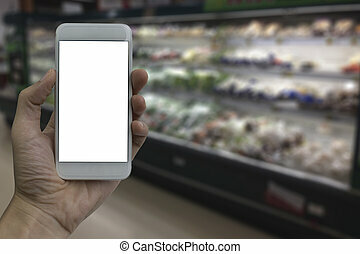 Hand holding smartphone with white blank screen over blurred supermarket and retail store in shopping mall interior background for product display montage. 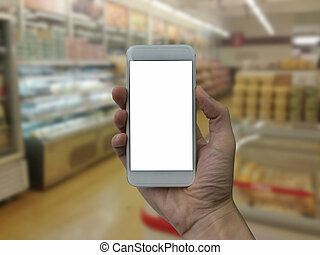 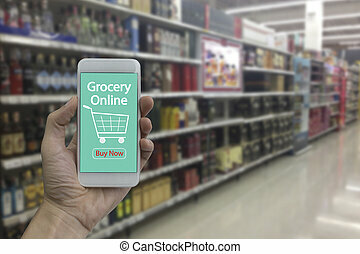 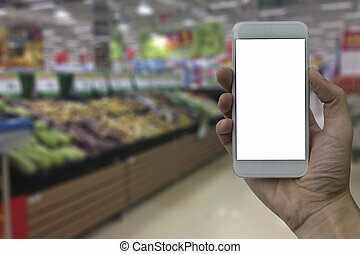 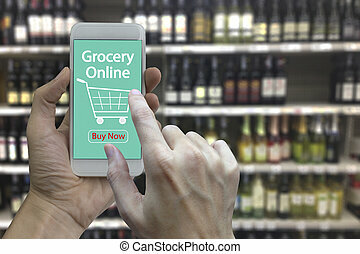 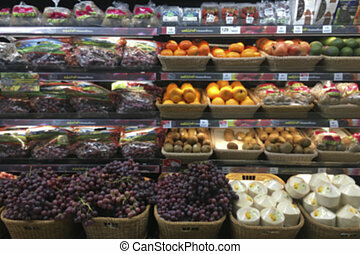 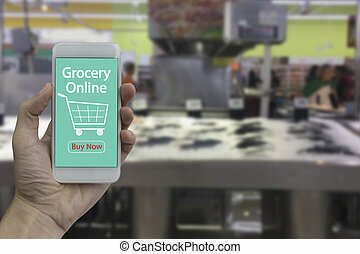 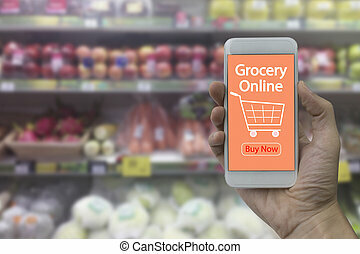 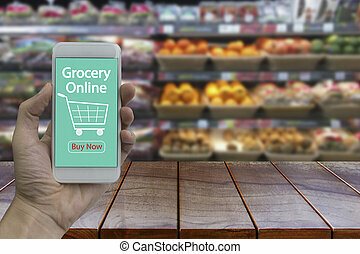 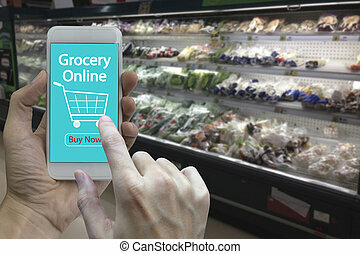 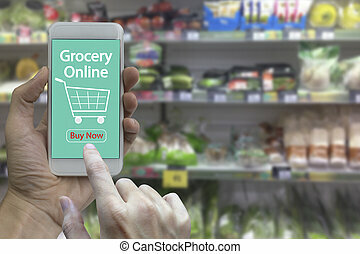 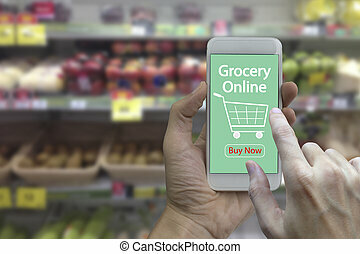 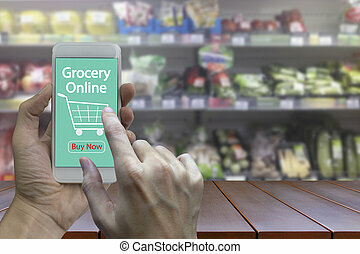 Hand use smartphone with grocery online on screen over blurred supermarket and retail store in shopping mall interior background.